Having a proper education, whether it be obtained from a public or religious school, has always be valued among the Jewish people. This was not only the case in the European countries before World War II, but in countries such as the United States, as well. Many young immigrant children and first-born Americans attended school in the United States in the early part of the twentieth century in the hopes of having a bright future. As genealogists, amateur or professional, having access to school records or photographs enable us not only to learn more about our families, but they gives us a glimpse into what life was like in society as a whole as seen through the student biographies, a message from the principal or student body president, or the activities the students pursued during their formative years. 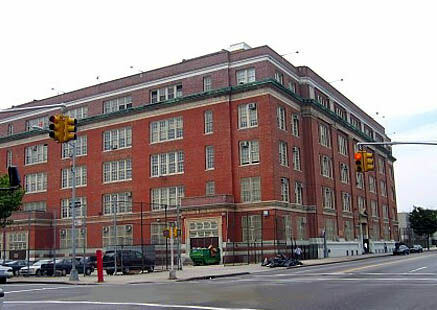 Initially, "The Schools of New York City" features information for two Brooklyn high schools, namely Thomas Jefferson and Samuel J. Tilden High Schools. For Jefferson a searchable database exists on our Museum site where you may browse from front to back any of the yearbooks. You may also simply search by name and graduating year (sometimes by home address at the time of graduation when available) for any Senior. To access the Thomas Jefferson High School database, please click here. For the Tilden database (located on another website), please click here.